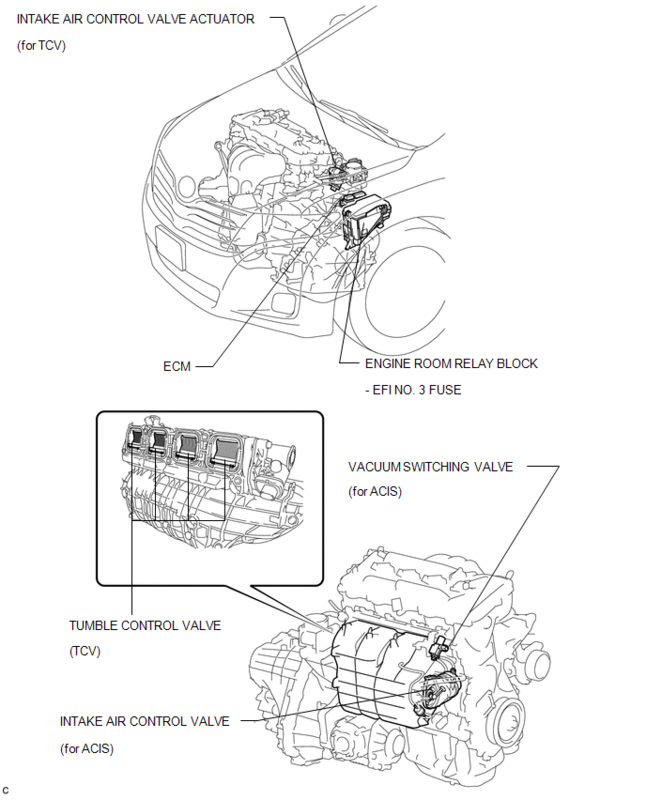 Perform "Inspection After Repair" after repairing vacuum leaks in the intake system (See page ). 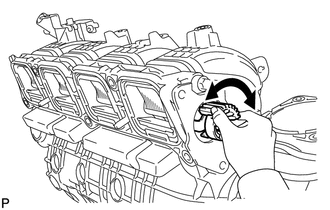 (a) Check that there are no vacuum leaks at the points shown in the illustration. 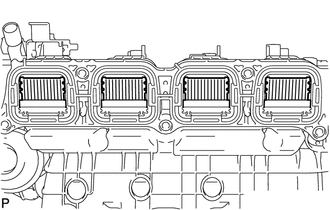 (a) Perform "Inspection After Repair" after repairing vacuum leaks in the intake system (See page ). 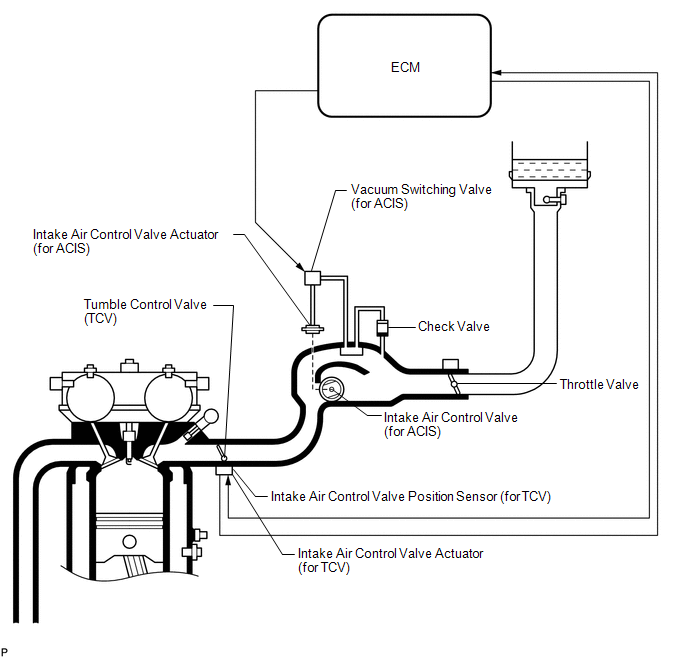 (d) Enter the following menus: Powertrain / Engine and ECT / Active Test / Activate the VSV for Intake Control. 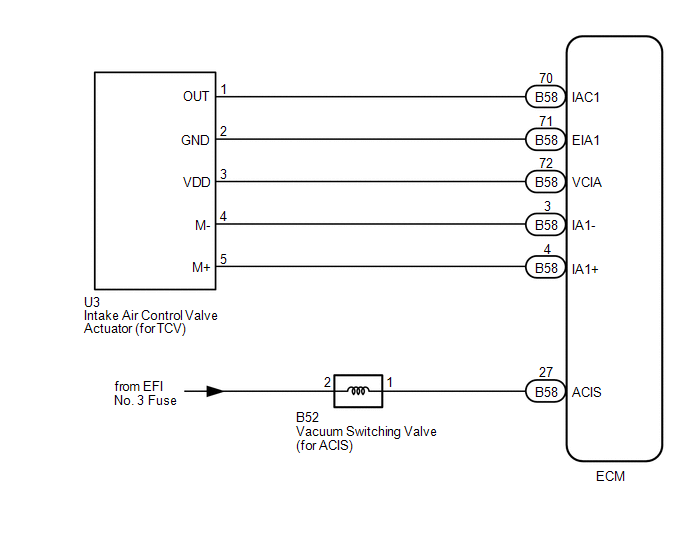 (e) When "Activate the VSV for Intake Control" is turned on, check that the actuator rod operates. If the operation is not as specified, inspect the intake air control valve, vacuum tank and check valve (See page ). (f) When "Activate the VSV for Intake Control" is turned off, check that the actuator rod returns to its original position. 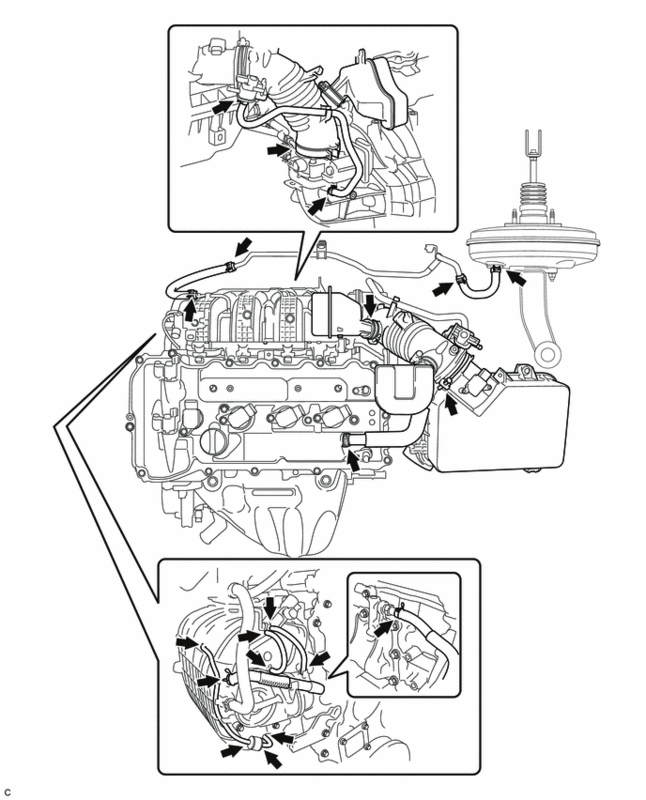 If the operation is not as specified, inspect the intake air control valve and vacuum hose (See page ). (b) Turn the ignition switch to ON (do not run the engine). (d) Enter the following menus: Powertrain / Engine and ECT / Active Test / All Data / Control the IAC Duty Ratio. (1) Set the duty ratio to 60% or -60% for 1 to 3 seconds, and then return the duty ratio to 0%. Check Intake Air Control Position in the Data List. Supply power to the intake control valve for 1 to 3 seconds. If power is supplied to the intake control valve for less than 1 second, the gear of the tumble control valve does not reach the stopper and the value in the Data List may be incorrect. If power is supplied to the intake control valve for more than 3 seconds, the motor may be damaged. Do not perform this inspection more than 2 times consecutively. The standard duty ratio for inspections is 60% or -60%. However, if the value in the Data List is not as specified, set the duty ratio to 100% or -100% for 1 to 3 seconds, and check the value in the Data List again. (e) When the result is not as specified during the Active Test, perform the following procedure. 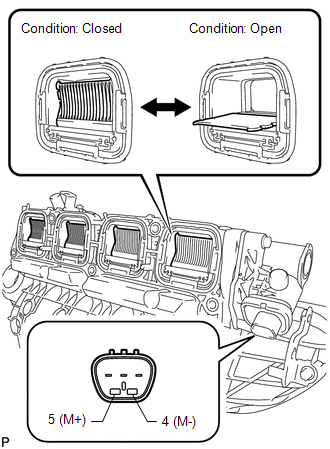 (1) Remove the intake manifold (See page ). When removing the intake manifold, the tumble control valves are half open. 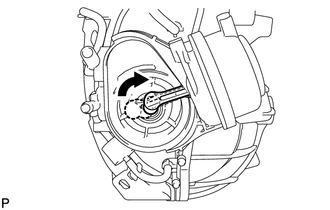 (2) Check that the valves move when connecting the battery to the terminals of the intake air control valve actuator. Apply battery voltage for 1 to 3 seconds. If battery voltage is applied for more than 3 seconds, the actuator may be damaged. Do not allow the lead wires to contact the other terminals. (3) When the results are not as specified, perform the following inspections. Check that the valves are not cracked or deformed. Remove the intake air control actuator, and check that the valves move smoothly. If there are no problems with the valves, inspect the intake air control valve actuator (See page ).